Stonehenge is on its way from looking like a glorified highway rest stop to a well cared for heritage site that finally puts the iconic structure into historical context. View of Stonehenge. Photo by Kevin Rickis. It is one of Britain’s most popular tourist attractions, a Unesco World Heritage Site and a relic of utmost importance in unravelling our past. It serves as an icon of Britain, its trademark trilithons a visual shorthand for heritage, hippies and unknowable mystery. It has been immortalised by Constable, Wordsworth, Hardy and Vonnegut. Spinal Tap named a song after it and in the film Help!, the Beatles sang nearby. 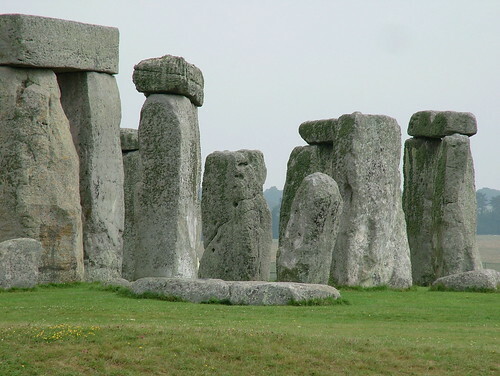 It’s also a symbol of proprietorial greed, its £7.80 entrance fee allowing passage through a dank tunnel and a walk around, rather than among, the stones; according to a random sample of visitor reactions, Stonehenge is “just a pile of rocks”, “smaller than I thought it would be” and a “rip-off”. Stonehenge, encompassed by an aura of utilitarian tat – a shabby entrance, chain-link fences and the thunder of two busy roads – is as old and as important as the Egyptian necropolis at Giza, but you wouldn’t guess that from its presentation, which has all the aesthetic allure of a bus station. Last month, after nearly 30 years of dead-end schemes, English Heritage finally began work on an attempt to bring Stonehenge back to its proper setting, starting with the construction of a new visitor centre – a graceful low-rise building hidden a mile and a half to the west at Airman’s Corner – which promises to tell the story of the people who built the historic site.